Below, find steps to consider if you feel you have been treated differently because of your cancer experience. What alternatives do I have to taking legal action? If you suspect that you are being treated differently at work because of your cancer history, consider an informal solution before leaping into a lawsuit. You want to stand up for your legal rights without casting yourself as a troublemaker. Consider using your employer’s policies and procedures for resolving employment issues informally. All state and local governments are required to have a grievance procedure and designated compliance officer for civil rights violations of employees with disabilities. First, let your employer know that you are aware of your legal rights and would rather resolve the issues openly and honestly rather than file a lawsuit. Be careful of what you say during discussions so that something you say will not be used to hurt your claim should your discussions fail to resolve the problem. If you need some kind of accommodation to help you work, such as flexible working hours to accommodate doctor’s appointments, suggest several alternatives to your employer. If your employer offers you accommodations, do not turn them down lightly. Such an offer may help the employer’s position if the case ends up before a judge. The Job Accommodation Network, a free service of the President’s Committee on Employment of People with Disabilities, helps employers fashion accommodations for disabled employees. Call 1-800-ADA-WORK for more information. Educate employers and co-workers who might believe that people cannot survive cancer and remain productive workers. For example, you could give your employer a letter from your doctor explaining the type of cancer you have or have had, and why you are able to work. More than 10,000,000 Americans are cancer survivors, so there is a good chance that some of your co-workers have had cancer and are now valued employees. Ask a member of your health care team to write or call your employer to offer to mediate the conflict and suggest ways for your employer to accommodate you. Consider seeking support from your co-workers. They have an interest in protecting themselves from future discrimination. What should I do to protect my right to sue, if informal solutions fail? Keep carefully written records of all job actions, both good and bad. Good actions, such as positive performance evaluations, may help in a lawsuit to show that you were qualified for the job. Bad actions, such as being moved from a job that has much public interaction to a job that has little interaction with the public after you have had a mastectomy, may be used against your employer to show illegal acts. Keep complete notes of telephone calls and meetings (including dates, times and attendees), letters, and the names and addresses of witnesses. Make written notes as events occur instead of trying to recall the events weeks or months later. Carefully evaluate your goals. For example, do you want your job back, a change in working conditions, certain benefits, a written apology, or something else? Consider the positive and negative aspects of a lawsuit. Potential positive aspects include getting a job and monetary damages, protecting your rights, and tearing down barriers for other survivors. Potential negative aspects include long court battles with no guarantee of victory (some cases drag on for five years or more), legal fees and expenses, stress, a hostile relationship between you and the people you sue, and a reputation in your field as a troublemaker. Consider an informal settlement of your complaint. Someone such as a union representative, human resources or personnel officer of your company, or social worker may be able to assist as a mediator. Your state or federal representative or local media may help persuade your employer to treat you fairly. Keep in mind that the first step most government agencies and companies take when they receive a complaint is to try to resolve the dispute without a costly trial. Be aware of filing deadlines so you do not lose your option to file a complaint under state or federal law. You have 180 days from the date of the action against you to file a complaint with the United States Equal Employment Opportunity Commission. If you work for the federal government, you have only 45 days to begin counseling with an equal employment opportunity counselor. Under most state laws, you have 180 days to file a complaint with the state agency. If you file a lawsuit and later change your mind, you can drop it at any time. If an informal solution does not work, how else can I enforce my rights? If you believe you have been treated differently by an employer covered by the Americans with Disabilities Act because of your cancer history, you must file a complaint with the Equal Employment Opportunity Commission (EEOC) to enforce your rights. The EEOC will attempt to settle the dispute. If no settlement is reached, the EEOC may appoint an investigator to evaluate your claim. If the EEOC determines that your rights may have been violated, the EEOC may sue on your behalf or may grant you the right to file your own lawsuit in federal court. Your complaint should be filed with the closest regional EEOC office. To obtain the location of your regional EEOC office, call the EEOC Public Information System in Washington, DC at 1-800-669-4000. You can obtain publications from the EEOC that explain the Americans with Disabilities Act and how to enforce your rights under the law by calling 1-800-669-EEOC or by visiting the EEOC web site at www.eeoc.gov. If you can prove that you are qualified for a job but were treated differently because of your cancer history, you may be entitled to back pay and benefits, injunctive relief such as reinstatement, equitable monetary damages, and attorney’s fees. State governments, however, are not required to pay monetary damages. The Americans with Disabilities Act allows an award for compensatory or punitive damages up to $300,000 for intentional discrimination. Intentional discrimination, however, is difficult to prove and these damages are not available against state or local governments or against a private employer who made a “good faith” effort to accommodate you. Remedies under the Federal Rehabilitation Act include, but are not limited to, back pay, reinstatement, and attorney’s fees, but do not include punitive damages. You may choose between filing a lawsuit in court or filing a complaint with the Employment Standards Administration, Wage and Hour Division of the United States Department of Labor. Check your local telephone book under “United States Government” for your regional office of the Wage and Hour Division. Most complaints filed with the Wage and Hour Division are resolved informally. Most states have a state agency that enforces the state fair employment practices law. Some states permit you to file a lawsuit in state court to enforce your rights. Under most state laws, you have up to 180 days from the action against you to file a complaint with your state enforcement agency. If I have rights under both state and federal law, how do I know which law will provide the best remedy? In some situations, a single act may support a claim of discrimination under more than one law. For example, a cancer survivor who is denied a job by an employer in New York City may have a claim under the New York Human Rights Law (state), the New York City Law on Human Rights (city), and the Americans with Disabilities Act (federal). If you have a choice of remedies, you may file a complaint with each relevant enforcement agency. One agency may “stay” (not act on) your claim until another agency issues a decision. You may always drop a complaint at any time once you determine which agency is most responsive to your claim. Factors to consider when choosing a resource include the types of remedies available, how quickly the agency responds to complaints (ask them how long the process usually takes), and which office is most convenient to you. If I decide I would like a lawyer or other professional to help me, how can I find one? Most county and state bar associations have a lawyer referral service that provides the names of lawyers in your area who have experience in job discrimination. Many also can refer you to a local public interest law center. Look in the telephone book under “State” and “County” listings, as well as under “Lawyer Referral Services,” “Legal Services,” “Attorneys,” and “Lawyers.” Search the Lawyer Referral Directory of the American Bar Association, www.abanet.org. Send only the city and state for which you request a listing; do not send any other documents. 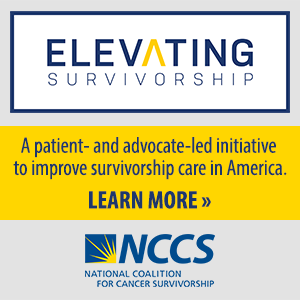 Local organizations that provide cancer survivors support and services. Some local cancer organizations and hospitals keep a list of lawyers who represent cancer survivors in job discrimination cases. I tried to enforce my legal rights, but did not get a satisfactory result. Now what? Even if your legal rights were violated, a public agency or court may not provide you a fair remedy. A trained job counselor, social worker, nurse, or member of the clergy may help you deal with the personal issues that result from employment discrimination due to your cancer history.